Among all the tourist places in Himachal Pradesh, Dalhousie is well-known for its scenic beauty and pleasant weather. There are several Himachal tourism hotels in Dalhousie for your comfortable stay. Besides being a beautiful picnic spot, it is a places of historical and religious importance. Dalhousie is famous for its beautiful churches. St. Andrew’s Church and St. Patrick’s Church at Balun are visited by many tourists each year. Commonly known as the Church of Scotland, St. Andrew’s Church was constructed in 1903. It was built by Protestant Christians at Balun. The church is situated nearly one and half kilometers from the main bus stand of Dalhousie. St. Andrew’s Church continues to be in good condition despite being almost 100 years old. In order to protect the church, a boundary wall has been erected by the church authority. 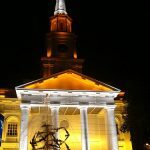 St. Andrew’s Church is indeed very beautiful and the colonial architecture of the church is something that is admired by visitors. The church attracts several worshipers and followers. St. Andrew’s Church has a lot of historical significance. 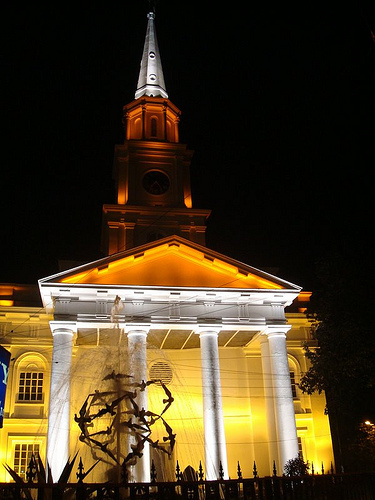 History freaks and avid readers also get attracted by the magnificent colonial architecture of the church. The best time to visit Dalhousie is during the months of April to October. You can visit the St. Andrew’s Church during winter to have a view of the snow-capped mountains. Explore beautiful churches like the St. Andrew’s Church in Dalhousie and have an unforgettable experience. When visiting this old and famous monument, you will get an opportunity to see the charisma of the erstwhile British rule that still continues to prevail during the present times. Nestled amidst lush green surroundings, St. Andrew’s Church catches the attention of every visitor. The church is surrounded by mesmerizing natural beauty. This is one of the reasons why the church is a popular and must visit monument among tourists. Nature lovers are attracted by the panoramic view of the mountains and exquisite beauty of the place.